It feels awesome to watch movies that are based on books especially when you hear your favorite book is being made into a movie. If you’re a reader then most of the time you already know about a few of them. Of course, there’s always a concern that maybe the movie won’t be as good as the books but there are also some movies that are better than the book. Yes! It does happen. Sometimes Hollywood makes magic on the screen that the book pages can’t actually compete with. Check out these awesome books that turned into blockbusters. 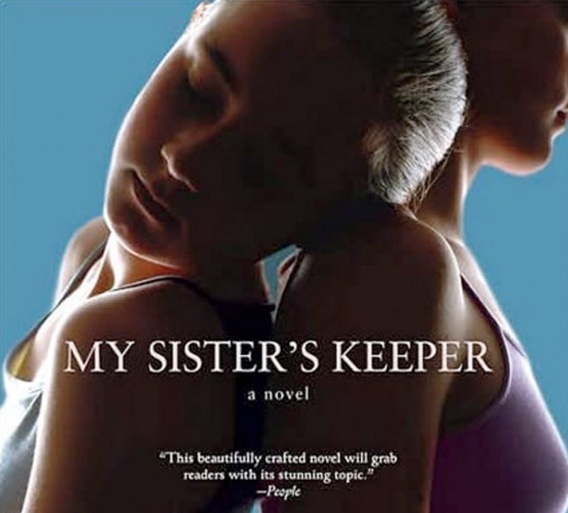 My Sister’s Keeper is a 2004 novel written by Jodi Picoult. It tells the story of 13-year-old Anna, who sues her parents for medical emancipation when she is expected to donate a kidney to her sister Kate, who is dying from leukemia. The story takes place in the fictional town of Upper Darby, Rhode Island in 2004. Anna Fitzgerald’s older sister, Kate, suffers from acute promyelocytic leukemia, a blood and bone marrow cancer. Anna was born as a savior sister specifically so she could save Kate’s life. At first it is successful, but the cancer continues to relapse throughout Kate’s life.